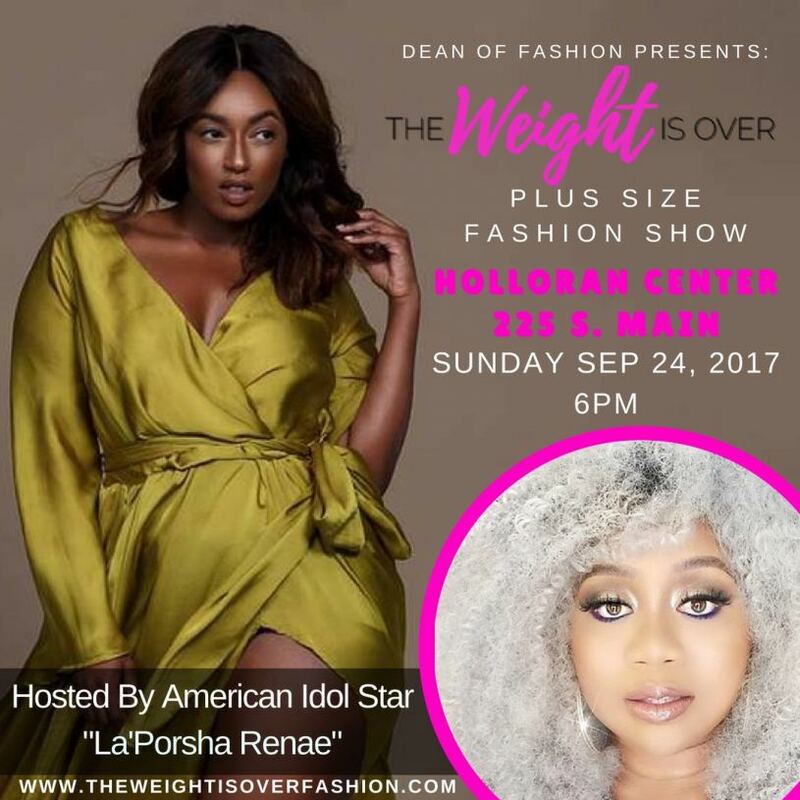 MEMPHIS, Tenn. – Sept. 11, 2017 – PRLog — The Dean of Fashion presents The Weight Is Over Fashion Show Sunday, September 24th at the gorgeous Halloran Centre in Memphis, TN. During this smorgasbord of smoldering fashions for women sizes 12 and up, guests will feast their eyes on the latest plus size fashions from some of the industry’s top designers and boutiques. This is the seventh year for the highly anticipated high energy fashion show and the special guest celebrity host is the beautiful vocalist and American Idol alum La’ Porsha Renae. Her single “Good Woman” from her debut album Already All Ready has been soaring up the charts. The Weight Is Over Fashion Show will begin at 6 p.m. The Halloran Center is located at 225 S. Main St. in downtown Memphis, TN. Clothing from Dean of Fashion, national chain Lane Bryant and other fashion outlets will be featured this year. Professional models will strut the runway along with special guests that include some of the Mid-South’s most prominent career women, socialites, entrepreneurs, celebrities, and bloggers. These women were chosen to strut their stuff because they have exhibited great leadership and service in the community and The Weight Is Over will honor them along with their lovely curves on the runway! There will also be a special presentation to the recipient of The Weight wfv Is Over’s Curvy and Confident Award — Canadian fashion model and social influencer Naomie Chaput. “We look forward to showcasing women who don’t fit the mold of the stereotypical model and honoring a woman who champions plus size women everywhere. We have an exciting night planned with great vendors, surprise local celebrity models and daring unique fashions. Everyone is invited to this celebration of beauty, which comes in all sizes,” said Dean. The Weight Is Over is sponsored by The Institute of Beauty, Make Up By Zii, Blue Magic, Eloquii, Fierce, Free & Fearless and Hypobiotics. For more information, visit www.theweightisoverfashion.com or info@theweightisover.com. Tickets can be purchased at Ticketmaster.com or at the Orpheum Theatre box office, which is located next to the Hollaran Centre.